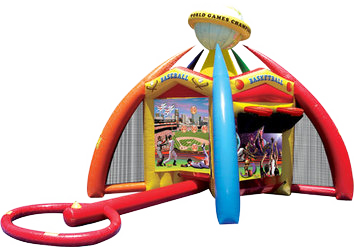 Bounce House rentals Las vegas, bounce house, bouncers, water slides, obstacle courses. *We are able to go to ANY Reservable Park in town! You do not get inside of these!- Great for schools! ​*10% insurance fee may apply at venues/parks. ​*$10 Travel/Asphalt Cleaning Fee may apply. Discounts on multiple item orders.